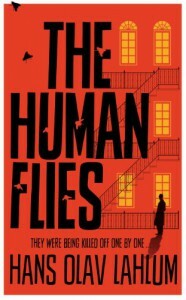 "The Human Flies" by Hans Olac Lahlum was a very enjoyable and twisted crime story, with great hommage to Agatha Christie and a touch of Nordic Noir. Very entertaining in many ways and with a lot of plot this suffered a little from long recaps that stopped the reading flow for me, although I realise that this is much desired by other readers. There might have been too much deception in the plotting, but it is still a very gripping read despite the caveats. Great characters and a fascinating setting. Definitely recommended.